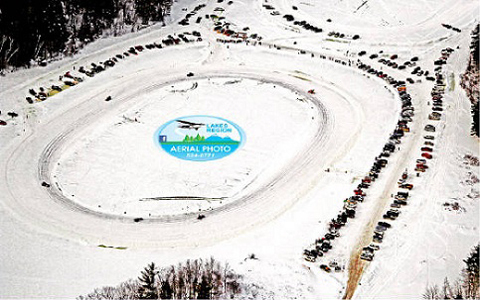 Moultonboro, NH: In 1984 the Lakes Region Ice Racing Club wanted to hold a benefit race that would be an annual event. At that time the race was held on Meredith Bay, which is how the name came about. Meredith is known as the Latchkey to the White Mountains. As time went on it was moved to Berry Pond, a smaller body of water in Moultonboro. The club members wanted their fundraising to be dedicated to an organization involved in fighting cancer. Therefore, the Norris Cotton Cancer Center in Lebanon, NH was the logical choice. Over the next 29 years our club donated over $227,000.00 to the Norris Cotton Cancer Center. All of us involved are very proud of this accomplishment. Now the board members and club members have voted to continue our Latchkey Cup tradition, but to give back the money in our local communities. After the Latchkey Cup race we will be reaching out to the local communities to see where the greatest needs are for this years donations. We raised $6,350.00 in our 30th year Latchkey Cup and we have donated to three local families who have a family member fighting cancer, two others with medial conditions and gave out scholarships to three local students. The Lakes Region Ice Racing Club has again reached out to the Lakes Region community for donations to support this event. In addition to the donations from the ads in our Latchkey Cup Ice Times, the monies raised are from driver entry fees, driver pledge sheets, spectators, and Latckkey Cup souvenirs. The 2014 Latchkey Cup raised $6,350. The 30-year total is now just over $238,400.00. This is the testimony to the fact that the efforts of a community can and do make a difference. The Lakes Region Ice Racing Club would like to extend their gratitude to everyone for helping us continue with our 30th Annual Latchkey Cup. The Latchkey Cup Race is scheduled each year for the last Saturday of January, starting at 10:00 am. Ice permitting.